Among several hiking destination around Kathmandu Tarkeshor hike is newly introduced by Wilderness Excursion. 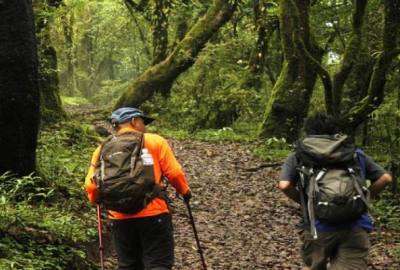 It is a day hike toTarkeshor is one of the nearest hiking destinations of Kathmandu Valley covered by thick forest with historical as well as natural setting. It is a part of Shivapuri National Park located north-west of Kathmandu and takes 30 minutes car drive from the city center. One can start the hike from Kavresthali or from Tinpiple. Tarkeshwar Mahadev is temple is the place known for its temple dedicated to Lord Shiva Surrounded by thick forests of cedar and pine, it is an ideal place for those who seek for beauty in nature. We also can include Kakani hike with Tarkeshor day hike depending on your time and interest. It is not as popular as other hiking destination because of less publicity so the place less touristy place and hardy see other tourist. The locals of this place also claim that Maha Deva who is supposed to be “God of the Gods”. Assistant guide to support the grout if the group is bigger.